The U.S. Justice Department is seeking to block the merger of Baker Hughes and Halliburton, preventing the tie-up of the second and third largest oilfield services companies. DOJ filed a lawsuit against the proposed merger, which presents a major roadblock to the $35 billion merger. The lawsuit hinges on antitrust grounds, as the combined company would control too much of the oilfield services market. The lawsuit could derail the tie-up. Halliburton and Baker Hughes could fight the Justice Department, hoping to win in court, or they could call off the merger. On Tuesday, Baker Hughes’ share price dropped 5.1 percent on the news, while Halliburton’s stock rose 1.2 percent. Baker Hughes’ shareholders would still benefit if the deal falls apart – Halliburton would be required to pay them a $3.5 billion breakup fee. Bloomberg reports that if the deal collapses, the two companies could turn their sights on other smaller players as takeover targets. "We view BHI as well positioned to make an acquisition and a fallout of the HAL merger could, in our opinion, spur industrywide consolidation," Matt Marietta, analyst at Stephens Inc., wrote in a recent research note. Oil producers are not happy with the merger either. Total’s CEO said in March that the merger would not be beneficial to exploration companies. 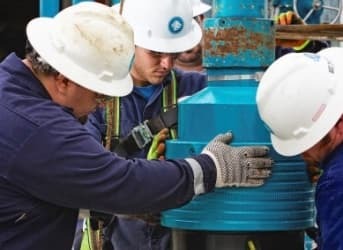 Chevron’s unit in Brazil said that the merger would leave them with fewer oilfield service options, which could raise costs. The news that the Department of Justice is intervening to block the merger comes as the Obama administration published new rules on inversions, a type of acquisition that companies have used to lower their U.S. tax bills. That led to the end of Pfizer’s $150 billion takeover of Allergan. Advantage U.S. In The Global Petroleum Showdown? Haliburton do something evil!? Why would you think that?